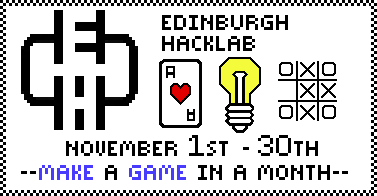 Come join us Edinburgh for the second make-a-game-in-a-month, month. Stretch yourself creatively or technically to create something fun. Demo day is Sat. Nov 30th and open to the public, you can come to play other peoples games even if you’re not authoring. Tell your friends!